Join us to ride along the beautiful Mississippi Gulf Coast to raise awareness of organ, eye, and tissue donation. Every day an average of 21 people will pass away waiting for a life-saving organ transplant. Help us to lower that number by encouraging loved ones to register to be a donor. One donor can save eight lives and one tissue donor can heal the lives of 75 others. Registration begins at 7 a.m. and the ride will start at 8 a.m. Early bird registration is $35. Registration after February 22 is $45. Packet pick-up will be at Cyclist Choice on Friday, March 8th from 4-6 p.m. Packets will also be available the morning of the ride. We will be raffling off a 1938 Roadmaster single speed with coaster brake. It is an original Chicago wielded frame. The components are from a 2016 single speed. 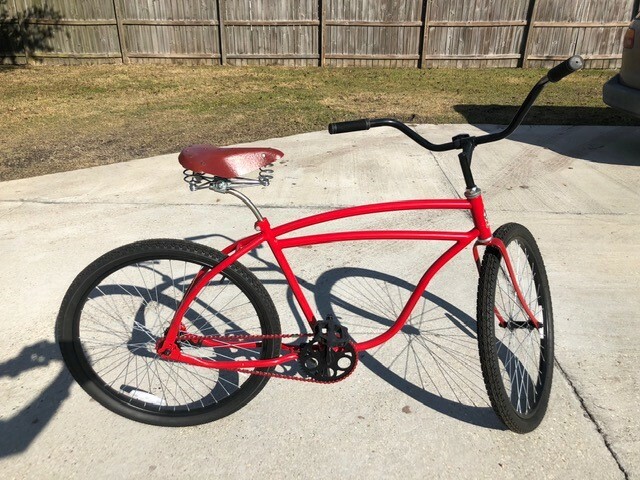 The bike was completely rebuilt by Duncan Perkins and is being donated by the Gulf Coast Bicycle Club. Each rider will receive one free raffle ticket, additional raffle tickets will be available to purchase the day of the event. Accomodations: Hollywood Casino has offered discounted rooms to all of our participants.